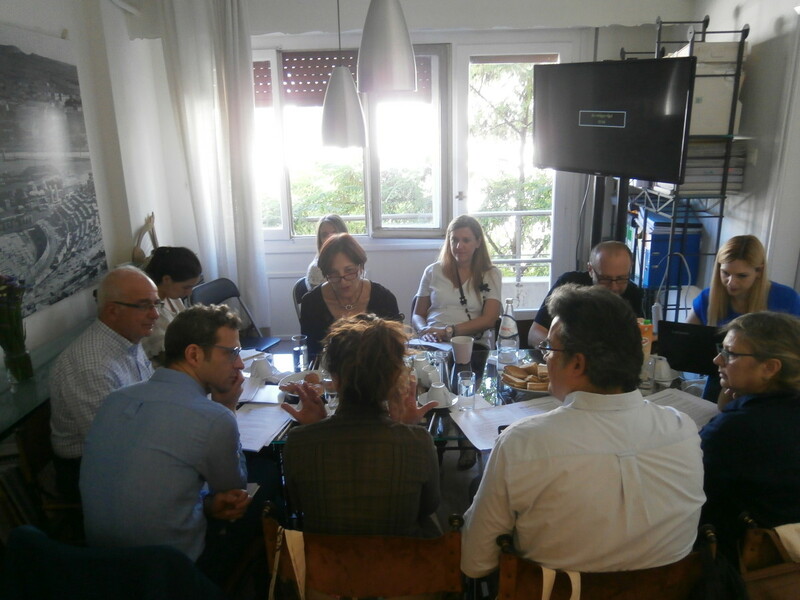 A workshop was held on Friday 1st June 2018 in the offices of the association DIAZOMA between representatives of organizations and institutions located in Greece and abroad. 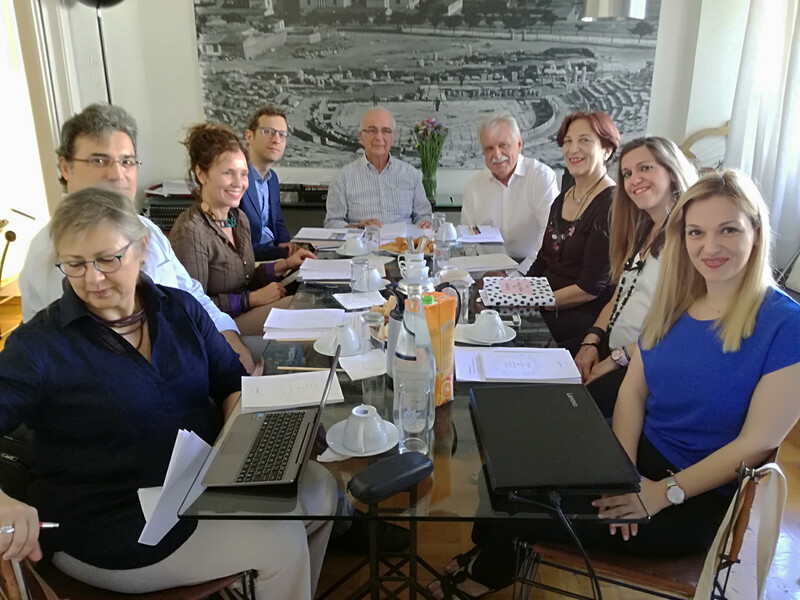 The purpose of this meeting was the creation of an international network for the protection and enhancement of ancient theatres located in the Mediterranean basin. The idea of this network was born on May 15, 2017 during a meeting at the headquarters of the association between the representatives of the magazine “La Rivista di Engramma”, the University of Venice (IUAV) and the association Diazoma. This international model cooperation will have the task of protecting and enhancing the theatres and other ancient buildings of the Greco-Roman period where theatrical, musical and other performances used to take place. The first step in this collaboration will be the systematic registration of ancient theatres located throughout the Mediterranean basin and the development of documentation on them. During the meeting, the focus was on making this knowledge public and easy to access. To this end, a multilingual online platform that will host the knowledge generated and present it to its visitors in a user-friendly environment will be created. 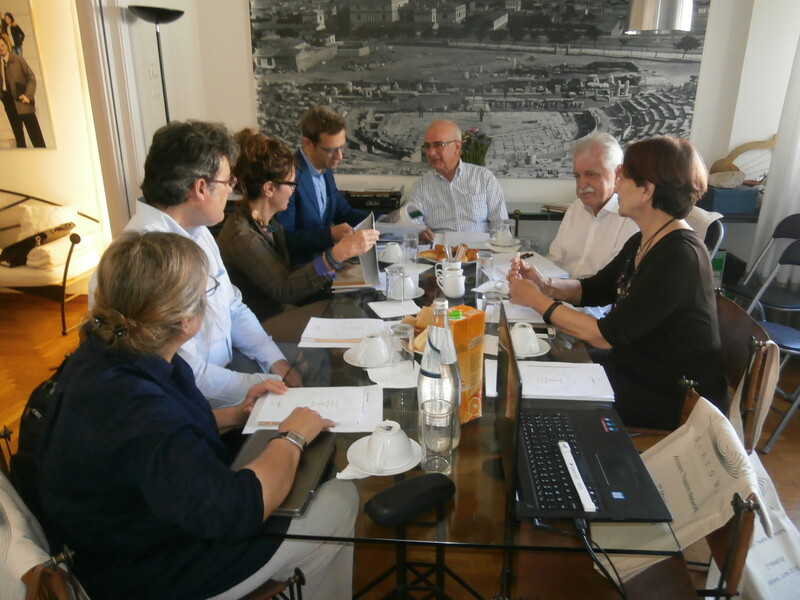 The meeting was attended by Mr. Stavros Benos, President of DIAZOMA, Mr. Vassilis Lambrinoudakis, Professor emeritus of Classical Archeology and Director of the DIAZOMA specialist team for the above program, Mr. Konstantinos Boletis, architect – engineer and member of the board of directors of the association and Mrs Danae Antonakou, architect and urban planner. On the Italian side, Ms. Monica Centanni, Professor of Greek Literature at the University of Venice (IUAV), Director of the Classical Studies Center and the specialized journal “La Rivista di Engramma” and Mr. Mauro Marzo, Professor at the University of Venice were present. The University of Seville was represented by Mr. Antonio Tejedor Cabrera, Professor of Architecture, director of the University Institute of Architecture and Construction Sciences (IUACC) and founder of the International Forum of Roman Theaters and Mrs. Mercedes Linares Gomez del Pulgar, Professor and Researcher at IUACC and Director of the Department of Architectural Graphic Expression at the Higher Technical School of Architecture (ETSA). Ms. Loukia Psaraki also attended the meeting as a representative of the John S. Latsis Public Benefit Foundation. Finally, DIAZOMA collaborators Mss. 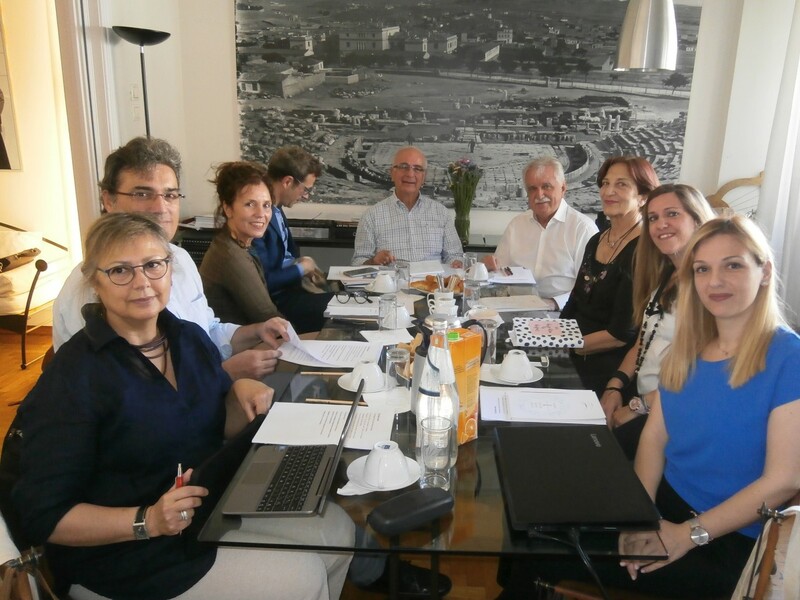 Maria Sofikitou, archaeologist, Maria Kourasani, archaeologist, Katerina Avramopoulou, economist and Mr. Evdokimos Fregoglou, multimedia applications manager also took part in the meeting. DIAZOMA welcomes this dynamic cooperation, designed to promote cultural dialogue but also to improve the relationship of people with the monumental heritage that surrounds them.